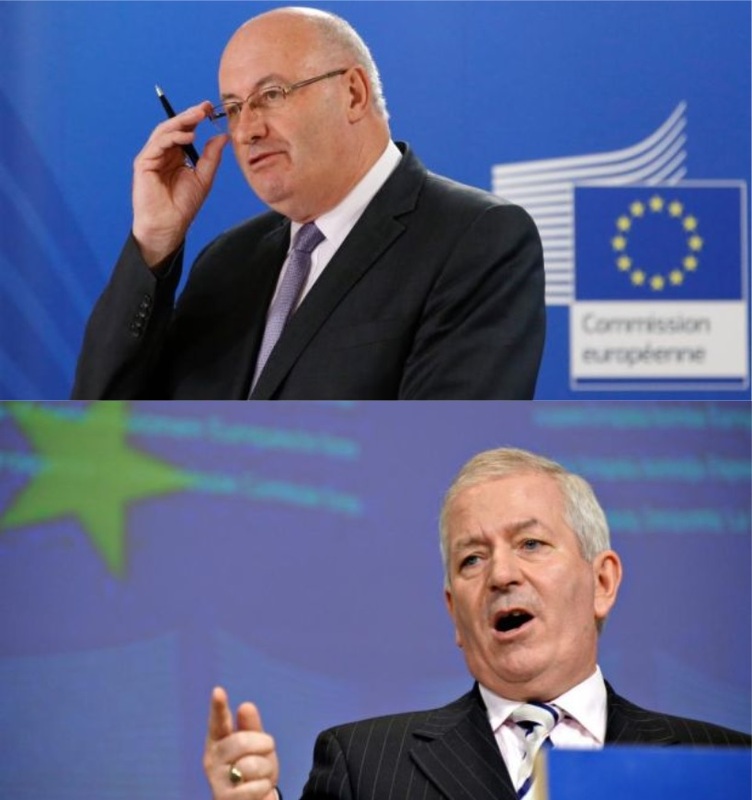 Phil Hogan and Charlie McCreevy were both dispatched to Brussels as a salve for a wounded government. The Ancient Greeks figured out this move first. In 2004, Bertie Ahern’s government was busy deregulating the banking sector in Ireland, and GDP growth was accelerating. There remained some concerns, however, and some discontent, culminating in Fianna Fáil’s dismal local election performance in May of that year. Charlie McCreevy, the outspoken Finance Minister in the coalition government, became a lightning rod for discontent, both a party and public representation of why Fianna Fáil had done so badly. He was dispatched to Brussels with what some may term indelicate haste, dismissed from Irish domestic politics, and became EU Commissioner. Fast forward ten years, and Enda Kenny’s coalition government with the Labour Party is similarly stung by the electorate in the 2014 local elections, where people were disconcerted at the pace of the recovery. Water charges had been a highly contentious issue at that time, and the man associated with them was Phil Hogan, outspoken Environment Minister. Just as McCreevy before him, Hogan was dispatched to Brussels after a slightly longer interval, in September of that year. Reading recently of Ancient Greece, it seems that this practice of political ostracism to sate the baying mob is quite well established. As far back as the fifth century BC, the ostracism was a formal process with rules and voting that allowed for any one person to be removed from Attica (the area around Athens) for ten years. Once that time was up, he could return, run for public office, resume his life. His goods were untouched, his family was unaffected – it was all quite civilised. Yet the person selected had not necessarily done anything wrong, committed no crime. Donald Kagan, the respected Yale Scholar, describes the Ancient Greek practice of ostracism as ‘a constitutional device to work in the political realm as a way of deterring a coup d’état, treason or other forms of unrest.’ Furthermore, he adds, ‘[m]ost years there was no ostracism, only once in a while, and every single person that we hear ostracized was a leading political figure.’ In other words, exactly what happened to McCreevy and Hogan. It worked for Ahern – he brought Sean Healy to Inchydonny in September 2004 as Fianna Fáil became what Miriam Lord called the ‘touchy feely party’, and declared himself a socialist in November. In other words, McCreevy to Brussels wasn’t the only pivot that Ahern and Fianna Fáil made that year, and they retained all but one of their seats in the general election of 2007. For Kenny’s beseiged Fine Gael, however, the tonic was not so successful; the party and the government continued to press on water charges, and even to this day their insistence on some form of charges appears intemperate and unsubtle, even if likely appropriate in policy terms. The 2016 general election results were not kind, and the suspicion is that if there were any elections imminent, a further black eye to the ruling party would be delivered. ‹ Is Ireland a Legitimate Country?